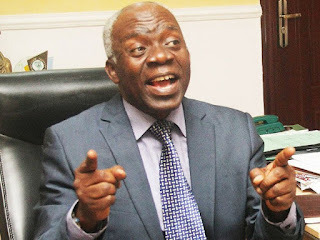 Popular human rights lawyer, Femi Falana, has reacted to the report that placed Lagos State as the third most dangerous city to live in the world, noting that he believed otherwise because there are other cities in the world that are more dangerous. Recall that the Economist Intelligence Unit, EIU, ranked Lagos State as the third worst city to live among 140 cities worldwide. Lagos was ranked 138th out of the 140 countries in the EIU 2018 report. However, Falana in his reaction said, “I don’t believe Lagos is the third dangerous city to live in because there many cities in other countries that are more dangerous than Lagos. Consumer Electronics - Keep up to the date with the latest tech for up to 50% off. Buy Now Premium shared hosting built on our rock solid cloud. Now 50% off for your first term! LiteSpeed, LSCache and More!